Who doesn’t want to improve their Steam experience tenfold? Because let’s face it: Steam’s default site needs a lot of work. Valve Time means the developer works at its own pace, which has prompted the community to come together to create a number of crucial and extremely useful tools to help anyone who regularly uses Steam. A couple of these are essential to making browsing the store itself better, where others provide helpful/amusing services that rely on your existing library. 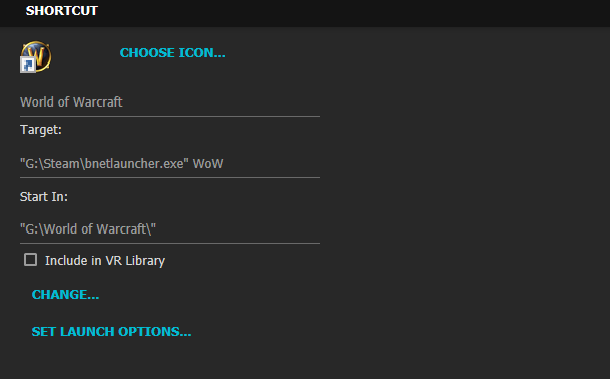 The majority of these tools work when you’re browsing Steam through a web browser, preferably Chrome. For best results, you’ll need to log into your account through the browser, too (and do the whole confirmation code thing) because certain tools will only work if they have access to the list of games you own. We’ll be splitting the tools we’ve been using into two categories: incredibly useful sites and add-ons that are essential to the Steam experience, and a couple more supplementary or otherwise interesting community-made additions that will change the way you do certain things. Let’s crack on with some of the most essential tools for everyday gaming on Steam. Enhanced Steam is an add-on for Chrome, Firefox, and Opera that offers data on regional pricing, as well as historical sale prices. Installing it is really simple, and its effect will be felt instantly. Now, when you visit any game’s page on Steam, you’ll find a small icon next to the price that lets you see how much the game is in the different Steam regions, something we often use here ourselves when we want to list all major prices of a given game. Right above that, you’ll see two other, equally important, bits of info. The first line shows the current lowest price across a number of other well known sites. There are many key sellers these days, and their prices are often cheaper than Steam’s, so you won’t even have to visit each one to find the cheapest. The Historical Lowest Price shows you the cheapest this game has ever been on Steam, or any of the other major key sellers. Historical low is the one thing you should look out for when eyeing a particular game, because it’s not really a discount if the game was available at that price months ago. Only when it hits a new low should you start to take notice. Enhanced Steam gets its data from IsThereAnyDeal, a site that keeps track of a game’s different price points, past and current, across Steam and many other major sites. You should also bookmark this site, even if it’s design leaves a lot to be desired. The sellers listed are not grey-area ones or marketplaces like G2A, in case you’re worried. Start using Enhanced Steam, and you’ll never have to pay more for something you could have gotten for less. 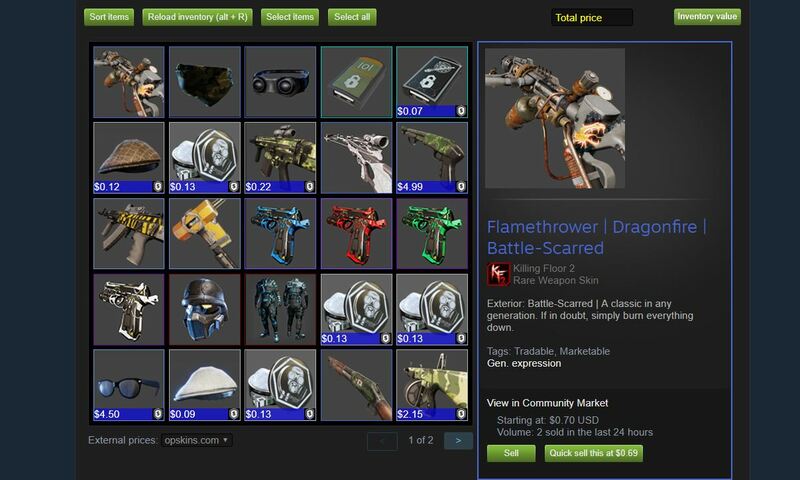 Steam’s own Inventory interface is trash. It’s clunky, it takes longer than it should to load, and, for those with pages upon pages of stuff, it’s a nightmare to sort through. Steam Inventory Helper, available for Chrome, does many things to make the trading, selling, and buying experience on Steam’s Marketplace much more inviting. Some of the major quality-of-life improvements here include being able to bulk sell and buy cards (useful for offloading Sale Trading Cards), seeing a live graph of item prices at a glance without the need to click on each one individually, managing trade offers, getting notifications for trades without using the Steam client, and much more. Steam Inventory Helper will be a much more powerful tool in the hands of regular traders, but it’s easy enough to use that those of us who only visit the market during Steam Sales can also benefit from it. 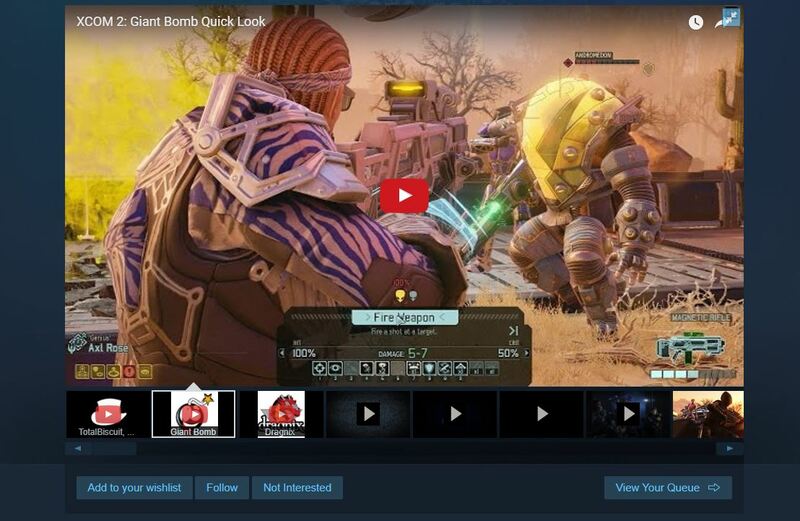 Fair Steam is an extension for Chrome, Firefox, and Opera that adds actual gameplay videos from YouTube into the store pages of Steam games. The extension’s creators want customers to see the actual game running rather than pre-rendered and otherwise unrepresentative trailers. This add-on works best with games that have been available for a while – for obvious reasons, but it can also be of help when browsing games pre-release. It improves playback on the awful Steam video player, and provides more data on reviews when you hover over the Recent or Overall sections of Steam Reviews. Admittedly, it’s something those of us who live and breathe video games may not see the full value of. For older, lapsed players, or those who just don’t have the time to YouTube game title after game title themselves, this allows the Steam Store page for any game to provide all the information they need to make a purchase decision. The most simple of the tools featured in this category, ‘What Can We All Play?’, does exactly what you think it does. The handy website simply shows the games you and your friends have in common, essential when deciding to play something together. Previously, the only way to check if you and a buddy have the same game was to click on their profile, go to their library, check the ‘games you both own’ box, and start looking. Using this site you can check up to five different Steam accounts simultaneously without the need of being Steam friends. All you need is the person’s Steam name, or SteamID and you’ll get a list of the games you both own. Most PC players have at least one Blizzard game they play regularly. Blizzard games are, obviously, not on Steam, but the Steam overlay is so useful that you’d want to use it with as many games you can. There’s also the fact most of your friends are probably on Steam anyway, so it’s the superior way of keeping the conversation going while playing Blizzard games. Bnet Launcher makes this a non-issue. It’s a small .exe file you can download and add as a non-Steam game to your library. Once done, hit properties of that shortcut and adjust the ‘Start in’ parameters to point to the install location for any Blizzard game, such as Diablo 3, Overwatch, etc. You can add it to Steam as many times as you want, assuming you want the overlay to work in each Blizzard game you play. This is much better than adding the games themselves as non-Steam entries and getting frustrated when they don’t work half the time. Now that we’re done with the the big list of quality-of-life add-ons and tools, let’s shift focus to more lighter additions that introduce new ideas to Steam. Some of these will work best if you have a big library. Here’s a bunch of handy apps to manage and improve your Steam experience. Steam Game Gauntlet is what happens when most of us start buying more games than they’ll ever have time to play. If you’ve been following the Steam sales for a while, you’ll no doubt have a backlog of games you never get around to touching. This site helps you decide what to play by making a game out of it. It spins a wheel around until it randomly lands on a game you should play. You can keep spinning it until you get a satisfactory result, too. It automatically scans the entire Steam library, but you can log in to make it pick only from the games you own. How Long to Beat is more of a general gaming tool than a Steam one. Regardless, it uses your Steam profile data to figure out how long it would take you to finish all the games in your library. There are more practical uses, of course, the prime example being able to judge how long a game is before buying. The site will even show detailed stats for each game, not just an hour count, such as the time it takes to earn all achievements and so on. 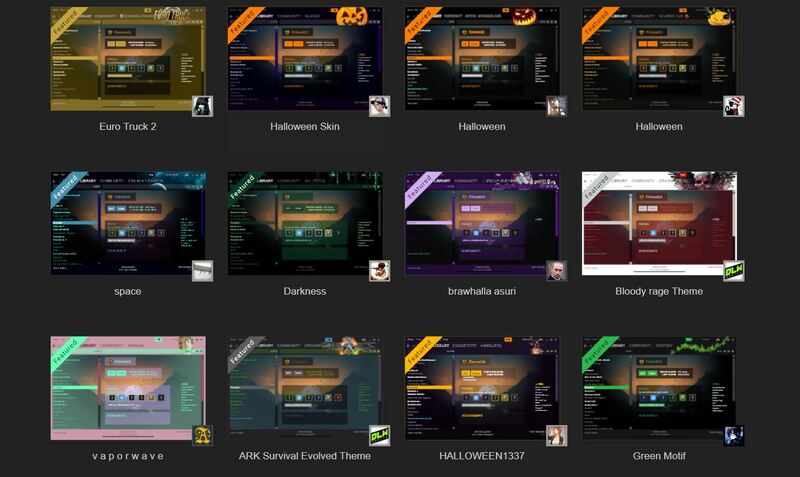 Steam Customizer is a simple skin editor for Steam that lets you create your own skins from a range of basic templates, as well browse more powerful options by other users. The tool itself can act as a skin manager so you can pick and choose on the fly, and skins take one click to apply to Steam if you have Customizer installed. You won’t find anything fancy here, but it’s a simple way to change the look of your client without a lot of tweaking. So there you have it, our top picks for essential – and less essential but equally useful – tools you need to make browsing and interacting with Steam a richer, simpler process.